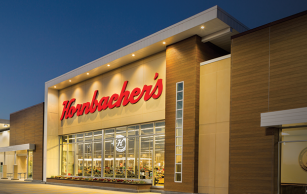 Hornbacher's currently operates 7 grocery stores in the Fargo/Moorhead area. Shop with us in store or order online for Hornbacher’s grocery delivery or pick-up. Get Exclusive Offers, Track your Rewards and More! Register today so you don't miss a thing! Already a Rewards member? Log in below! Hornbacher's, your local grocery store, has been offering you great values on groceries since 1951. Today, grocery shopping at Hornbacher's has never been easier with online grocery shopping, including grocery delivery and store pickup! Hornbachers.com offers thousands of grocery and household items, such as fresh produce, meat and seafood, deli and bakery, Quick and Easy Meals, healthy natural and organic food products, including gluten-free and other free-from options, and so much more – all at a great value. Hornbacher's offers same-day grocery delivery! Make your life easier – order groceries online and get them delivered to your door. Start shopping online with us today! From the store to your door, Hornbacher's delivers groceries to your home or office - seven days a week!